Obsessive second-guessing, arguments with herself, and indecision all figure prominently in Heather Leigh McPherson’s painting process. 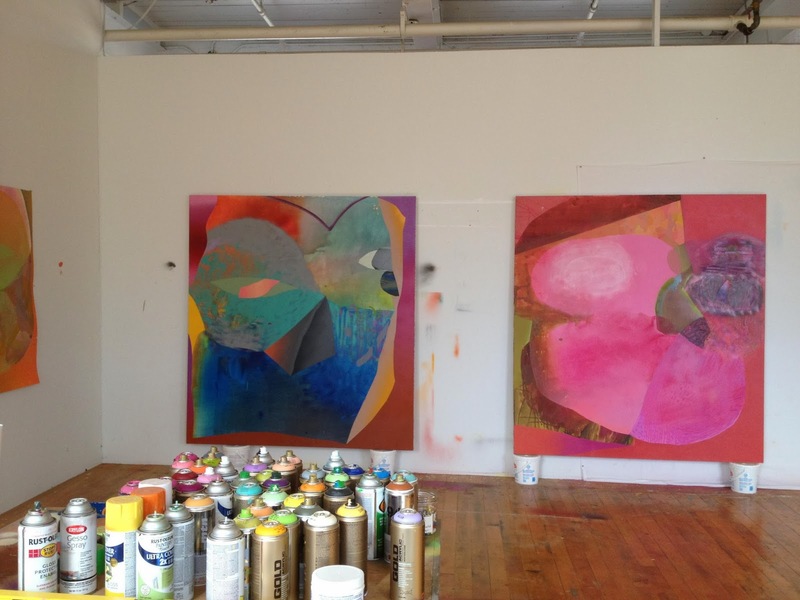 A few weeks ago I stopped by her post-industrial-park Providence studio to check out her stunning new series of large-scale paintings. 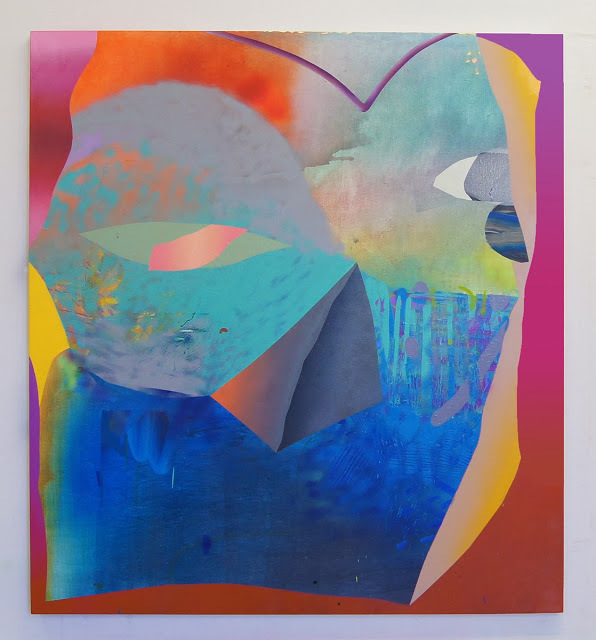 The brightly-colored, hovering mask-like images in her new work speak to the disconnect between who we are, who we imagine we are, and who we want to be. Fascinated by the notion that unfixed personhood runs counter to the myth of avant-garde individualism, McPherson uses color to create a shrill uncertainty in which forms shift between illusions of 3-dimensionality and flat graphic shape. Moving back and forth between digital studies, drawings, and big clumsy sculptures, McPherson sees the head as the “throbbing epicenter of consciousness.” Throughout the process, which includes a substantial amount of what she calls neurotic re-doing, she searches for a visual vocabulary that equates to our cognitive processes. Image at top: Heather Leigh McPherson, w/out Seeing, 2013, oil, acrylic and spray paint on canvas, 72 x 66 inches. 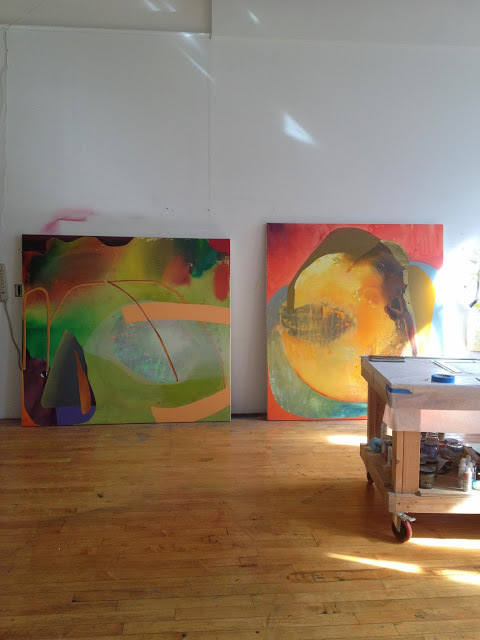 Paintings line the walls of McPherson’s studio. On the left, Unambiguous Mask, 72 x 66 inches. More paintings. Nice floor. 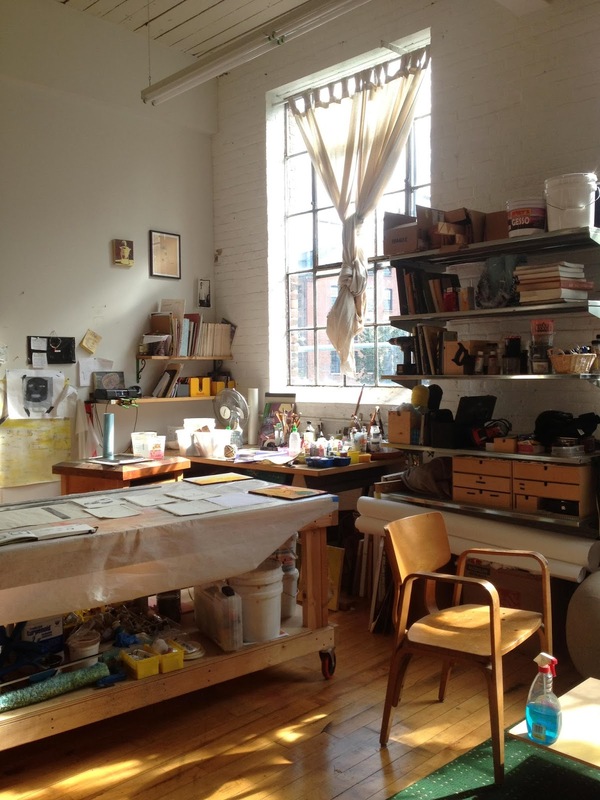 And check out the painting table–her partner is a woodworker. On left: Ich, ich, ich, ich, 66 x 72 inches. On the right: Yokel Mask, 72 x 66 inches. A drawing area in the corner. 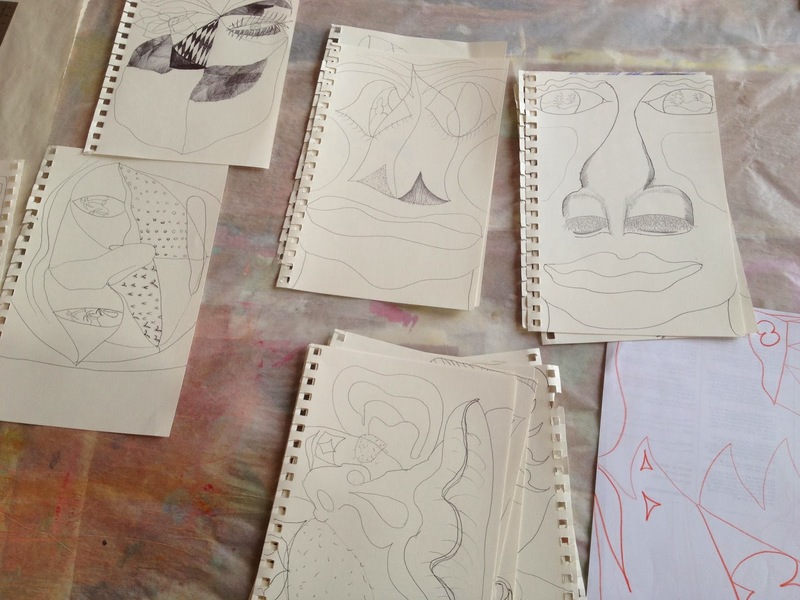 McPherson’s small drawings are often the catalyst for larger work. 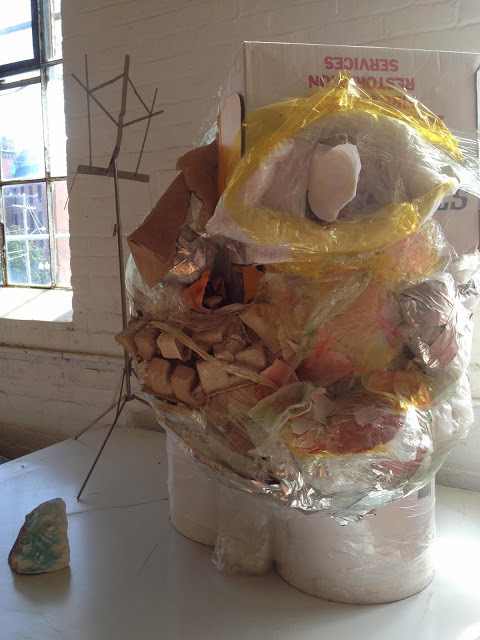 This head sculpture is held together with Saran wrap. McPherson moves fluidly between spray painting and traditional painting techniques. A graduate of Washington University and the RISD MFA program, McPherson teaches painting at Providence College and is working towards an April 2014 solo show at 186 Carpenter, a quirky Providence storefront and office space that presents “arts programming and other and current events.” I”m looking forward to the show. Concur. 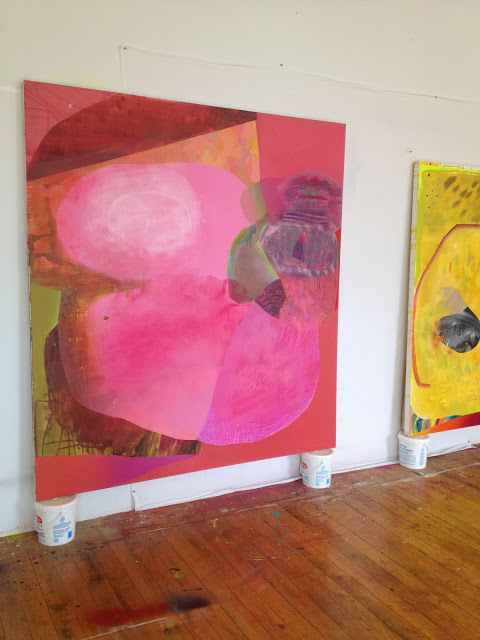 The line in some of them remind me of Amy Sillman, but the large, bold swatches of color make the paintings considerably more extroverted and (I gather intentionally) jarring. Love Heather's new paintings! Thanks for showing them here!